So you want to take the kids boating with you and you want them to have a great experience that will compel them to want to come with you more often. That might be a tall order for boat owners who have kids that get bored just thinking about being on a boat. It is all too easy for what could have been a great day boating to turn sour because the kids just aren’t having any fun. If you are going to bring your kids boating, it is best if you plan ahead and be prepared. 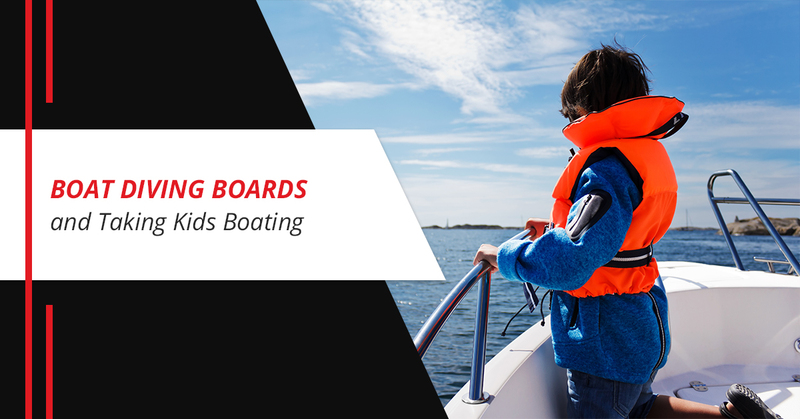 Lillipad Marine, your source for boat diving boards, offers ways in which you can make boating more fun for kids. The way to a kid’s heart is through their stomachs. You can bet that if you have fun snacks, the kids are sure to enjoy the boat ride. You will want to prepare snacks that are unique and tasty, something they just can’t get every day. As long as you have a source of power, you can have movie time on your boat with the kids. Your kids might think it is really cool watching Finding Nemo while on the boat. You might want to skip out on The Poseidon Adventure, however. Your kids will love it when you call up a pizza place and have them deliver it to the dock. Order the pizza, head to the dock, get your pizza and take off again to enjoy some more boating time. Having friends with you always makes any situation bearable. And if you let your kids bring a friend or two with them on your boat ride, they will feel popular and important. Just because you are boating does not mean you have to spend the entire day on the boat. Break up the day by docking for a beach picnic complete with all of the fun foods your kids love including hot dogs, burgers and smores. You can even break out the volleyball net or toss the Frisbee around for some recreation and exercise. Most kids love to fish and fishing is even better from a boat. Have your kids be on the lookout for a great fishing spot. Taking a break here and there to go fishing helps break up the day. Kids love inner tubes and will get even more excited when the tube is big enough to accommodate five or six kids. Don’t feel bad if your kids would rather play Candy Land or Monopoly than enjoy the scenery while boating. Just be glad that you did bring a few games for them to stay occupied on the long boating ride. Your kids will stay busy for hours and hours if you have a boat diving board. Diving and swimming are two of the best things you can do on a boat. Order yours from Lillipad Marine today.